Create a unique 5 x 6 1/2 inch note card or picture to frame at home in this hands-on class. 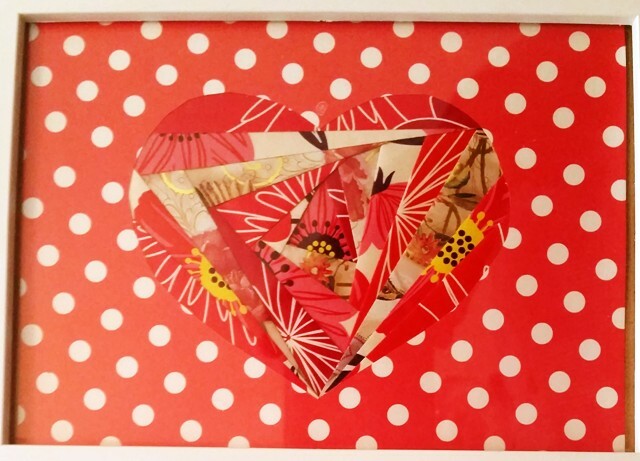 With instructions and a template to take home, you will create an iris origami heart choosing from a rainbow of papers including recycled magazine pages and gift wrap. Jody will guide you through the entire process to create a gorgeous heart. These are so much fun to make, you might want to make many more on your own! All materials supplied. Designed for adults only. Registration ends January 16 at 3 pm. Learn a new craft in 2019: an iris, origami heart. So fun!